*Please plan to wait with your child during these auditions, since they will be less than ten minutes each. For girls, please prepare Cruella De Vil’s lines, being sure to memorize “side 1”. Also, please prepare the song My Beautiful Coat. For boys, please prepare Roger’s lines, being sure to memorize “side 1”. Also, please prepare the song Cruella De Vil. **please click on the italicized words above to go to the link of the lines or music. We are planning to have call-backs on Jan 23, 24, and 25 if needed. Children who are cast and their parents should plan to come to a mandatory reading and meeting on January 29 at 5:30pm in the Root Elementary Music room. At this time we will discuss the rehearsal schedule and parent volunteer needs. It is imperative that children who are cast be available for all rehearsals and performances. Rehearsals will be held afterschool on Tuesdays, Wednesdays and Thursdays. The days your child will be needed will be based on the part they have. This is a serious commitment, so please be sure to discuss with your child the importance of sticking with it to the end. If you have any questions please leave a comment or email me! I’m looking forward to this exciting opportunity! There are lots of options if you still would like a recorder-walmart and target carry some, you could order from music k-8 (linked above), or you could order from amazon. Please let me know if you have any questions. We will be using a program called Recorder Karate which allows students to work at their own pace through a series of tests, earning “belts” with each successful test they take. It’s instrument time in music class! 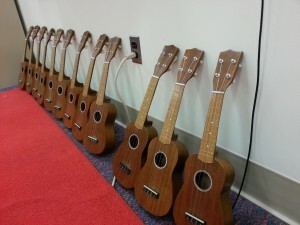 Yesterday we began Ukuleles in 5th grade. Some information about what we will be doing: We are going to be learning Ukes in a similar way Root students learned recorders; Ukulele Karate! This means they will be moving at their own pace through a series of tests. I will give them the information they need in class, as well as time to practice. At the end of the week they will be able to test for a belt (or more if they are ready!). There is also the option to test online if your child has a uke at home. More on this in a future post. 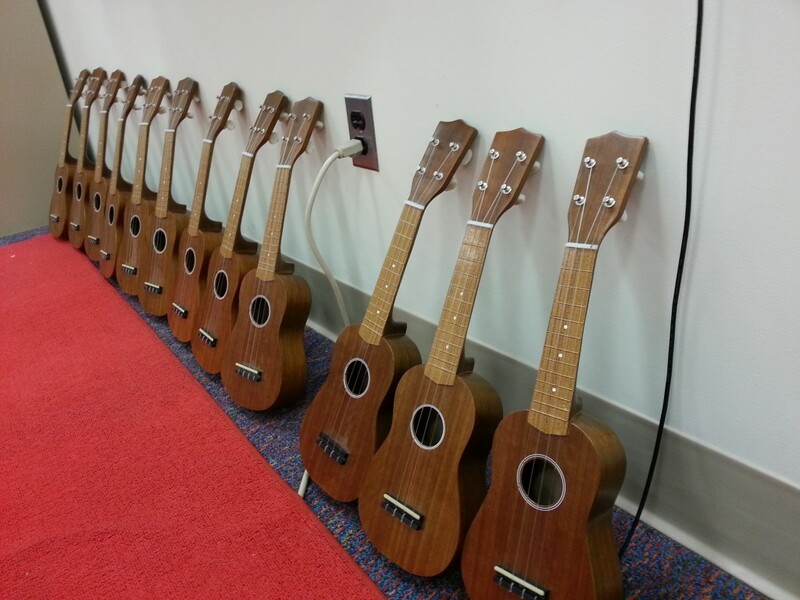 We have ukuleles at school for each child to practice on during music class. They are not the best in the world, but they will work for now. Since we have 12 ukes the kids will share during class with a partner. There is no need to buy your child a ukulele, but if you are interested here are the two I would recommend:Lanikai LU-21– this is the uke I own and I love it!Makala MK-S– or any makala (even the dolphin bridge models! )These are a bit more expensive than the traditional “toy” ukulele, but they will stay in tune, which is essential for a beginning musician. The Makala ukuleles come in a variety of colors and styles and have a plastic body so they may be better for the more accident prone children in your life. 🙂 We will be learning using the Jumpin’ Jim’s Tips and Tricks method book and all the tests will be out of this. Please let me know if you have any other questions! I’m looking forward to making some great Ukulele music with the 5th grade!